The story of how Bath and Alkmaar came to be linked, and become friends, is an extraordinary one, featuring invading armies, last-minute escapes, good fortune and bitter tragedy, a royal intervention, bureaucracy overcome, surprise appearances, support given to strangers in need, all infused by a spirit of international friendship. 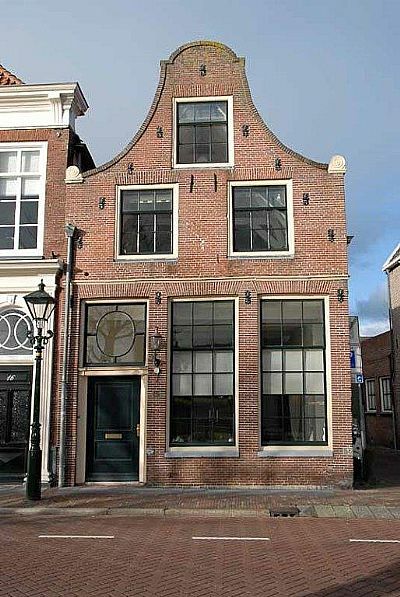 On the corner of the Bierkade and Keizerstraat streets in Alkmaar still stands the 18th century house where a young Jewish man, Elias Prins, and his parents lived before the Second World War. Today a commemorative stone on the building reads: This house was occupied by Mr. I. Prins and his wife Mrs. R. Prins-Vlessing, honoured citizens of Alkmaar. Deported by the German occupier on the 5th of March of 1942. They perished in the Sobibor concentration camp’. 'Vergeet het niet' or, in English, ‘Don't forget’. Once heard, the story of Elias ‘Eli’ Prins is certainly hard to forget. 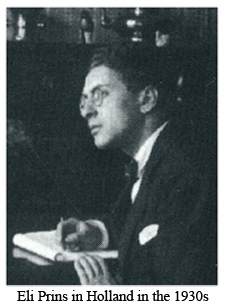 A vocal anti-Nazi in the lead-up to the War (and a secret helper of Jews seeking to escape from pre-war Nazi Germany), Eli and his family realised he risked being immediately imprisoned by the invading German army. His parents decided to take their chances and stayed in Alkmaar – but at their insistence, Eli jumped - literally - on the last small fishing boat leaving the port of IJmuiden, south of Alkmaar, and via a perilous voyage across a stormy, mine-laden North Sea, escaped to England, ending up in Bath where his sister, Rosa, was living, having married an Englishman a few years earlier. Once in Bath Eli became a vocal advocate for his homeland, speaking of his escape to the local Rotary Club just a few weeks afterwards, and giving talks to local Bath children about life in Holland. He volunteered as a warden in the city’s civil defence service, the ARP, helping to spot enemy bomber aircraft passing overhead, and looking out for any fires caused by incendiary bombs. Eli was involved when, in April 1942, Bath suffered several terrible bombing raids; hundreds of people were killed, and many buildings in the city centre were demolished and damaged, with the Luftwaffe even machine-gunning cars driving down the street as residents tried to escape. Through playing his part during these terrible times, and through the talks he gave about Alkmaar and the Netherlands, Eli made many close friends in the city. 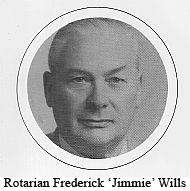 The head warden of the ARP was a well-known local man, Frederick ‘Jimmie’ Wills, who was also the Secretary of the Bath Rotary Club, the charity fund-raising organisation which hosted Eli's first talk in Bath. Through the long nights, while fire-watching, Eli would tell Jimmie about Alkmaar – its history, its beautiful historic centre, its people, and the latest news which he picked up from friends in the Dutch military and government-in-exile about what was happening in his old home town, under German rule. Jimmie and his Rotary Club colleagues began to think about ways they could help the Netherlands, and particularly Alkmaar, when the war was over. By the winter of 1944, Eli's Bath friends were particularly shocked by his tales of the terrible conditions being endured by those living in the North-West of the Netherlands, including in Alkmaar, which was still occupied by the German Army. A terrible famine struck during an especially bitter winter. This so-called ‘Hunger Winter’ was particularly hard for children. Eli’s reports prompted his friend Jimmie to ask fellow Bath Rotarians to take action by organising fund-raising activities to aid the people of the beleaguered Dutch city as soon as it was liberated by the Allies. 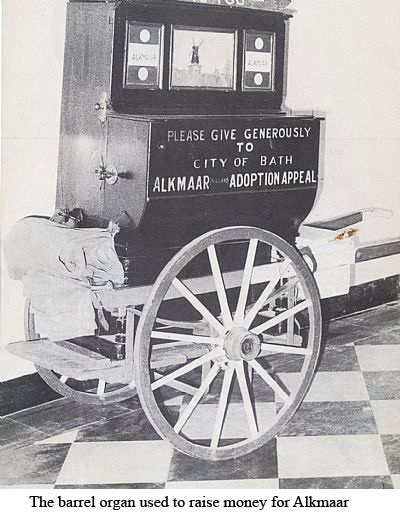 Jimmie had the idea that Bath should ‘adopt’ Alkmaar as a sister city. From what Eli had told him, the two places had much in common: both historic cities, both about the same size, both closely linked to water. However, in those days the concept of towns twinning was unknown, and Eli was not convinced, arguing that the appeal should perhaps be to help all of the Netherlands; but Jimmie insisted, convinced that asking Bathonians to concentrate their assistance upon Alkmaar – where their friend Eli came from – would make the appeal more personal and meaningful than a general request for funds to relieve conditions across the whole of the Netherlands. Convinced by Jimmie, the two men made a formal approach to the 'Help Holland Council', an organisation set up to encourage British people to make gifts of clothes and tools to the Netherlands. They put forward the idea of an 'Alkmaar Appeal'. Initially that organisation rejected Jimmie’s idea, thanking him, but saying Bath could raise funds but must pass these to the ‘Help Holland Council’ to distribute. Jimmie, however, refused to give up on his idea, and so he and Eli wrote a letter to HRH Queen Wilhelmina of the Netherlands, who was herself, like Eli, in England in exile. Via her secretary, the Queen gave her blessing to the idea of the link: and so Bath and Alkmaar were given royal approval to become ‘twins’. 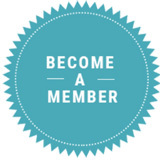 An official Bath-Alkmaar Adoption Appeal committee was immediately formed, drawing support from various community groups, and the Council in the form of the Mayor of Bath. This committee met for the first time in March 1945, and decided to launch a public appeal in order to collect money, clothes, tinned food and other items that would be sent to Bath’s newly-adopted twin city as soon as the war was over. When the Appeal was announced via Bath's local newspaper, the response by Bathonians was immediate and widespread. All sorts of groups and people, moved by the news of the terrible 'Hunger Winter' famine, started arranging fund-raising events and activities: the imagination of the city was sparked by the appeal, and people from across Bath became involved. There were musical concerts, exhibitions, auctions of unwanted items, sporting competitions, theatrical performances, a ‘mile of pennies’, jumble sales, people dressing in silly costumes…in fact everything which we now take as standard for large public appeals, but - in 1945 - were still unusual, at least on this scale, and for a foreign city. 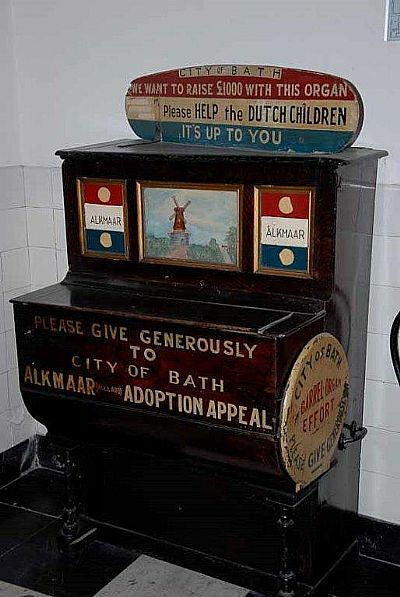 Publicity for the fundraising effort was assisted by a barrel organ, purchased by the Rotary Club of Bath for the sum of £25, which was painted in Dutch national colours and wheeled around the streets on a cart by Jimmie, the ARP and fellow Rotarians. The barrel organ was also taken on the back of a lorry to neighbouring towns and villages, and was even pushed around the pitch at Twerton Park football ground, when Bath City FC held a special fund-raising exhibition match. Within a few weeks, these initiatives saw the residents of Bath and the surrounding area donate more than 45,000 articles of clothing, which were collected, cleaned, repaired if required, and packed into 250 old tea chests for shipment to Alkmaar. 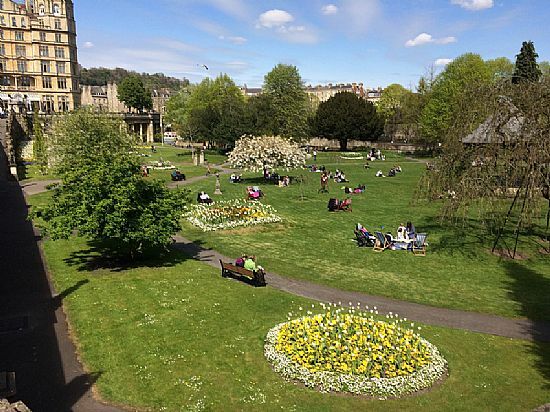 In addition, over £7,500 – in modern terms, the equivalent of £250,000 - was collected in cash to benefit the citizens of Bath’s new adopted twin-city. During that first Alkmaar Week in July 1945, a special Ball was scheduled for Bath’s Pump Room to celebrate the liberation of Alkmaar and help raise further funds for the appeal. A letter of surprised gratitude had been received from Alkmaar soon after its liberation in early May 1945, thanking Bath for its first donations; so it was decided to invite Alkmaar’s ‘Burgemeester’ (Mayor) Jonkheer F.H. van Kinschot to a special dinner to be held right before the Ball. However, prevailing communication restrictions made getting this invitation to the Burgemeester easier said than done. It was eventually arranged for a British Army officer, who was due to be passing through Alkmaar, to deliver the letter in person. The letter was duly delivered, and Burgemeester van Kinschot sought the assistance of the British Major then in charge of the city to make the trip to Bath. The Major was sympathetic, but told the Burgemeester that there was nothing that could be done to make such a trip possible at such short notice, and with the war barely over. Meanwhile, back in Bath, in view of the communication difficulties and having had no reply to his letter of invitation, Jimmie decided to try and send a telegram directly to the Burgemeester. Despite official restrictions on non-military or non-governmental telegrams, Jimmie used his persuasive manner with a sympathetic telephone operator, and a telegrammed invitation arrived three days later - the day after the ‘Burgemeester’s’ travel request had been declined. By coincidence, however, the telegram also happened to arrive at the very time American General Mark Clark, who was commanding the Allied Forces in North Holland, happened to be visiting van Kinschot in his office. 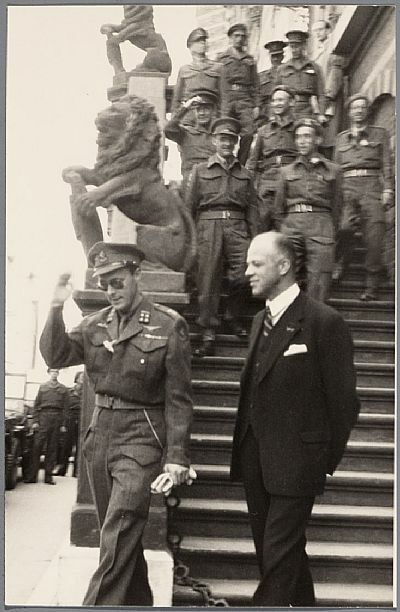 Hearing the whole story, General Clark declared: ‘You have to go!’, and immediately arranged a special travel permit, and for the ‘Burgemeester’ to be flown to London in an American Air Force plane. Van Kinschot duly set off for Bath with a borrowed formal dinner suit, an American travel warrant approved by General Clark, and £1 in cash. ‘I had a sign, ‘Alkmaar’, on my car windscreen and secretly I met every train from London, but there was no sign of the Dutchman. We had arranged a simple supper (those were the days of rationing) in the Rotary Room of the Old Red House (in Newbridge Road) for our distinguished guests from Bath, and the local Dutch community and Dutch Forces, before planning to go on to the Ball at the Pump Room’. ‘There was a stunned silence: then in walked the Burgemeester. The reception the dignified Dutchman received was overwhelming: nothing short of a standing ovation. He enjoyed his first meal since 5 o’clock that morning and told the rapt guests that he had arrived in Bath by a late train armed only with a piece of paper containing the words ‘Mr. Wills. Alkmaar’’. A taxi driver had taken van Kinschot first to Jimmie’s home, but finding that empty, had driven on to the Red House Hotel. During his short stay, the ‘Burgemeester’ was cheered wherever he went. People were excited to see him. He presented the Honorary Freedom of Alkmaar to the Mayor of Bath, Alderman Edgar Clements, and to Rotarians Jimmie Wills and Wallis Carter - the first time that the Honorary Freedom of Alkmaar, a city with a proud role in the history of the free Netherlands, had ever been presented to any foreigner. The honoured Bathonians were invited back to join Alkmaar’s liberation festivities the following month, in August 1945, and so – a few weeks after van Kinschot’s epic journey - Jimmie, Wallis and another Bath Rotarian, Basil Hall, travelled to Alkmaar as guests of the Town Council, flying there themselves via a special military air transport. 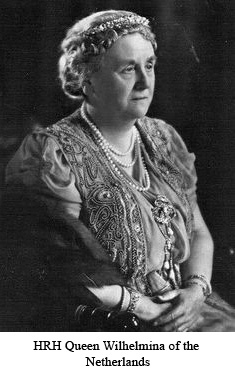 They found the town in festive mood, with flowers and decorations and the national colours flying everywhere: it was not just in celebration of the liberation, but also for Queen Wilhelmina’s birthday - and the visit of ‘Friends from Bath’. The party were given an official welcome at the Town Hall and took part in an official renaming of one of the main bridges over the canals in Alkmaar as ‘The Bath Bridge’. There was dancing in the streets until the small hours, then on Liberation Day itself a procession of all the city’s 5,000 children took place, past the Town Hall, which the Bath party attended. When the Rotarians saw the children, they were shocked: ‘As they passed by wearing their pitiful bits of clothing,’ Jimmie later told the Chronicle newspaper in Bath, ‘it was then that we fully realised that our efforts had indeed been necessary. The need for the cases of clothing we had sent was plain. No child had a decent pair of shoes; some were barefoot. Girls were wearing their mothers’ dresses, boys were wearing men’s trousers. Some families had to share clothes’. Food was also still scarce in Alkmaar. Wanting to help, the Bathonians asked what could be done to help the most desperate children. Arrangements were duly made for 50 children from Alkmaar, many of whom had been suffering from severe malnutrition, to travel to England in a few weeks, to recover physically, and also to spend Christmas with a family in the city, and enjoy a proper holiday. The photograph below, courtesy of the Bath Chronicle, shows the group of - by now, very happy - Alkmaar children and their adult supervisors, at the end of their stay, paying a visit to the Bath Fire Station. 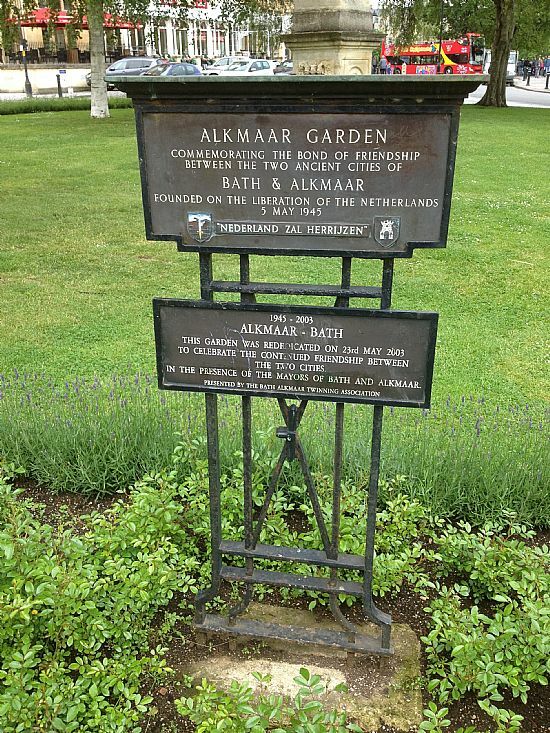 The following year, in 1946, Alkmaar offered to host a return visit, for children aged 14-17 from Bath to have a summer holiday in the Netherlands. According to a contemporary report in the local Bath paper, for their fortnight in Alkmaar they were all limited to as much luggage as they could carry and ten guineas each which would cover the cost of travelling and pocket money. They were allowed to take seven pounds of food as well as two pounds of soap and also a camera. 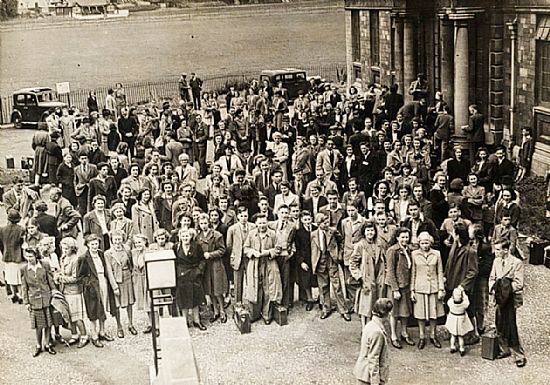 This photograph, courtesy of the Bath Chronicle, shows the group, with parents, awaiting their departure. By all accounts, the Bath children were hugely spoilt when in Alkmaar, having a wonderful time - for most, their first holiday away from parental supervision! The return visit by Bath children to Alkmaar marked an important development in the link between the two cities; first Bath had helped Alkmaar, now Alkmaar reciprocated, showing the English children a marvellous time and making a huge fuss of them – for most, their first real holiday since before the War, and a huge adventure for everyone. After a 36 hour jorney, including an overnight sea crossing, and a series of train journeys up through the Netherlands (an adventure in itself), the Bath children were met at Alkmaar Railway Station by crowds of well-wishers. Tired but excited, they paraded into the Town Centre preceded by a Band, many reporting later to have been very moved by the welcome they received. Dances and receptions were held, there were boat trips on the lakes and railway journeys to other Dutch cities, plus new foods to try and sights to see...a holiday of freedom and fun which made a huge impression on those who were lucky enough to make the trip. Soon afterwards, formal civic visits followed, and the first of innumerable exchanges between sporting and cultural groups began. Over the years, thousands of people from the two cities have visited the other – in sports teams, musical groups, as artists, Rotarians, businesspeople, tourists, or simply as friends. The famous Rotary barrel organ was presented to Alkmaar, and now resides just off the main entrance hall in the city’s fine Town Hall, in the very centre of Alkmaar. In 1947, Alkmaar reciprocated, donating to Bath City Council a large ceremonial gong, including an image of the Dutch cheeses famously weighed every week at Alkmaar's cheese market. 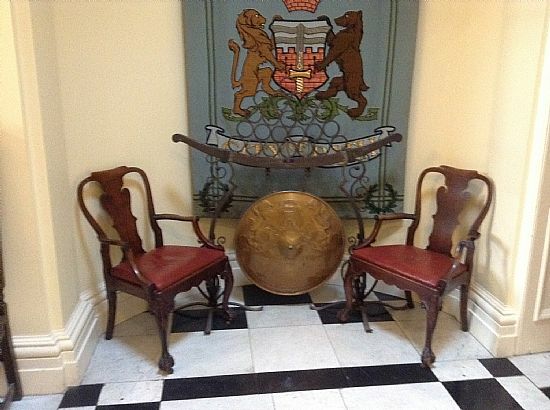 The Alkmaar gong can be seen to this day in Bath's Guildhall, just outside the Council Chamber. And in Bath, the Orange Grove garden – first named as such after a visit by the then Prince of Orange, in 1734 - later William IV of the Netherlands, who that same year married Anne, the eldest daughter of Britain's King George II – is now also known as the Alkmaar Garden. 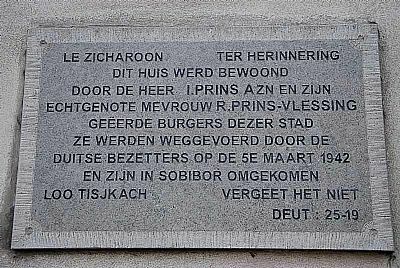 Its commemorative sign carries the stirring saying, 'Nederland Zal Herrijzen' - The Netherlands shall Rise Again. The Alkmaar Garden is often planted with tulips, as it was in 1946, following a gift of 5,000 bulbs from Alkmaar; and was again in Spring 2017, following a further gift of 5,000 bulbs to the City to mark 70 years of friendship. When the war was over, Eli Prins stayed on in Bath and married Ida Buttle, who became a Methodist hymn writer and music teacher at Kingswood School. They had a son called Gwythian - now an Honorary Member of the Twinning Association. Eli Prins’s fateful trip in 1940, and the friendships he made over 70 years ago, triggered a set of remarkable events which even now – in the 21st century – are still bringing benefits, enriching the lives of people in both his place of birth and his adopted home, and providing a echoing rebuke to those who sought to divide and subjegate. Out of the horror and tragedy of war, something positive has grown and put down deep roots: a link, and a story, worth remembering, cherishing and celebrating.